* Intent: A planet to further add stories and role play within the chaos galaxy. * Climate: Oyar'u is a temperate climate world. It mostly sees overcast and mist, and sometimes rain and snow, but also that nice sunshine will show as well. * Primary Terrain: Oyar'u is 100% forest, but on a different scale, such as different types of forest biomes. There is the snowy forest where the entire forest is always blanketed in snow, the wet forest where it's constantly raining or misting, and then the natural forest where it sees all weather conditions. There as well is rivers and lakes. A relatively recent addition to Oyar’u, Niv Lehi is a military and engineering base which houses Clan Cadera’s exploits on-world. The central location for Clan Cadera’s First Order Clone Army Veterans, The Anubian Infernal Guard & the Darasuum Initiative, it is built into the side of a hill, surrounded by the forest cover. The sprawling structure includes Clan quarters, a fully situated command centre & encrypted communications array, bio-genetic laboratories, botanical research facilities, a beskar forge, weapons & combat testing/training facilities, shooting ranges, meeting areas, a test orchard & garden, and a large, well appointed kitchen facility for the Cadera contingent of Hetikles Baatir, living permanently on-world. Niv Lehi is protected by shield generators, and the denizens who live there, many of whom were cloned from Yasha Cadera’s paternal genome. The grounds surrounding the base are dense forest. It is a place of constant motion, always active with outreach and a place to relax or hold out. 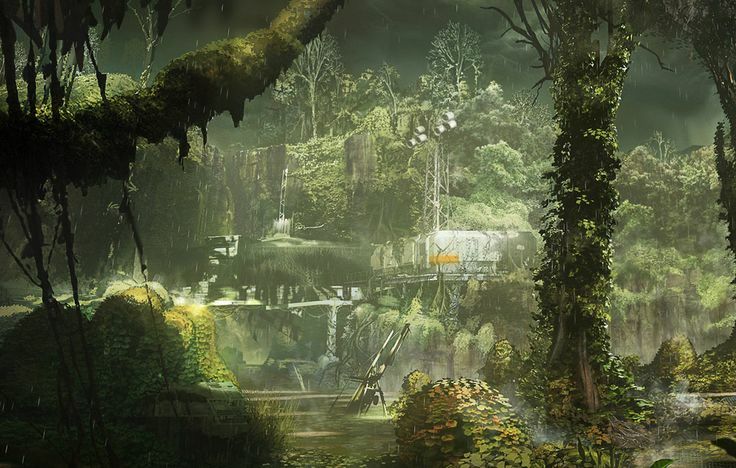 The Prudii Kyr'am base is located in the wettest part of the forest in the rain forest Biome. It's designed as a military fortress as that's what it once was long ago before it was eventually abandon and taken back by mother nature. Prudii Kyr'am moved into the abandon military outpost fortress and cut back the trees, vines and plants all over growing the place. They then refurbished and renovated the place to have 6 turret towers, a satellite communications array on the roof, a mess hall, barracks, armory, showers, restrooms, commissary, combat dojo, training course, shooting range, classrooms, meeting/planning room, communication and radars room, as well as a jail, not to mention the sniper towers hidden on the base, around the base in the trees and 3 landing pads with 2 hangars. Having a love for nature and how the force flows through it Stardust Australis Skirae elected to build what one could consider a small temple on the planet so that she may use it as a retreat when needed or a place to meet up with people. The building is rather basic in design favoring a more feudal design with minimal security being cameras. The building has two rooms, one for personal use and one as a living/meeting area doubling as a kitchen. 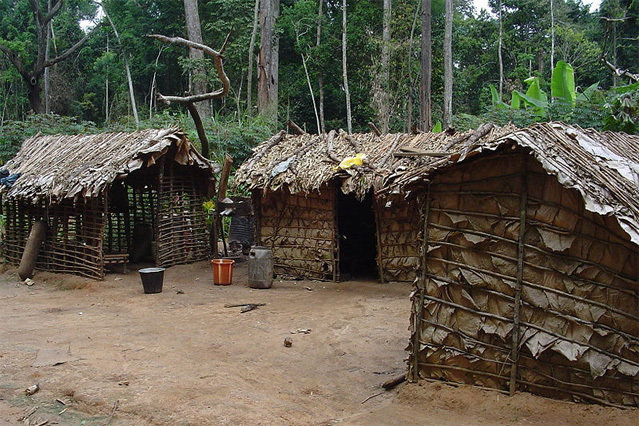 The Tribal villages are scattered around the planet belonging to various versions of the tribal inhabitants. 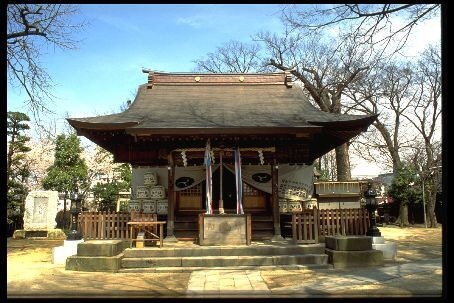 Most of the buildings are made with logs, clay, homemade paste and cement and leaves. Although the mandalorians have offered to help the tribes build better buildings, they have refused as they like keeping things simple and living off the land. A way of life in their culture. Most villages have a dining hall for food, small little houses, weapons hut, as well a few other commodities. Pulchra City was a once great thriving metropolitan city with millions of people. But once the gulag plague hit with the 400 year darkness, it killed nearly every citizen. The ones left alive abandoned the city. 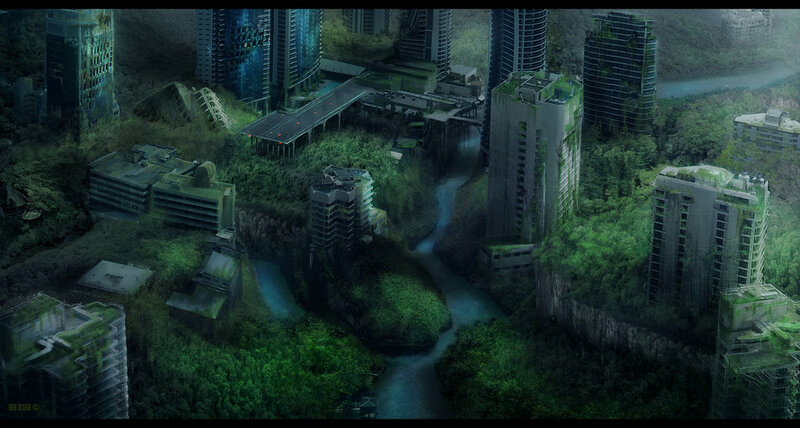 The city soon fell into dispair and was reclaimed by nature as trees, vines and grass overtook the city. Now it sits a a massive abandon metropolitan ghost city. What is to come of it is unknown, remaining abandoned still today. Aeroportus was once a massive Spaceport, central hub of travel for the planet, but after the 400 year darkness and the gulag plague, Aeroportus became overgrown by nature with trees, vines and grass growing all over the entire Spaceport. It was recently cleaned up in certain areas and is now being used by the mandalorians. The Aeroportus is located on the edge of Ijaa City. 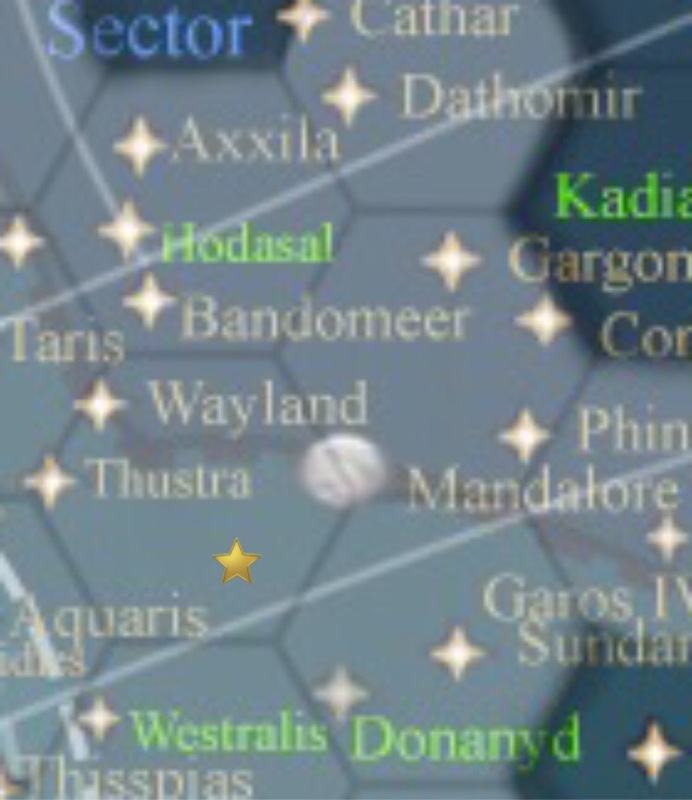 While Clan Solus is classed as one of the smaller clans its growing numbers means they are able to spread to other worlds. This allows them to expand on their area of defence and ability's to perform search and rescue to more locations. The clan is used to the overgrowth of forests having their main base on Vanquo that has similar terrain covering the world. Walking around this place one would see it has basic security like automated turret emplacements and shield walls to keep unwanted wild life away. There is also storage for several speeders and area's for beast pens. On site there is several landing pads and two medium hangers for transports to move in and out. The Willows is a former abandon resort on 80 acres of land in the snow forest Biome. Once a great place for people to vacation to and enjoy the beauty of the snow covered forest has become a nightmare. The resort fell into nothingness and has become a haunted location. The tribal people say it's haunted from all the dead that died during the gulag plague. Tribals also tell a story of a legend that there is someone or something in those woods guarding the land killing everyone that enters the land, the only truth to the legend is that those that have gone to explore the Willows, has never returned. Look closely and you might Actually see the legendary creature. The Willows forest is almost the entire region of the snow covered forest. Deep inside this forest is the Willows resort and as well a legend of a person, or a creature that kills anyone who enters the Willows. A folk lore legend told by the tribal people of the planet. No one has ever confirmed the legend, and those that have gone to the willows has never returned. Could it be a myth and the fact that the regions temperature is below freezing is the case of so many that have gone missing? It's a possibility, but to this day the tribal people believe in the legend, look closely and you might spot the legendary creature. 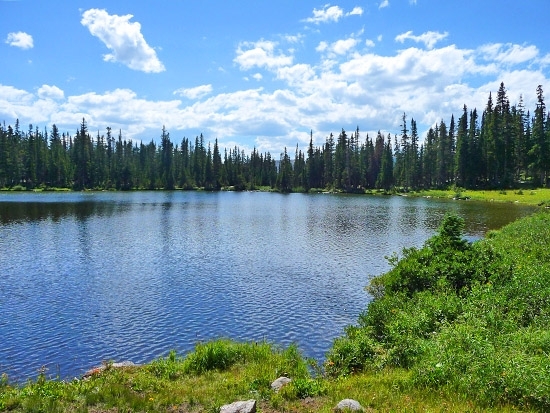 The Meridian Lake is a beautiful lake where tribes fish, collect water. Overall it's a beautiful place to come and visit, go fishing, swimming, even just to relax. It's very quiet and peaceful at the lake, some say they come here just to enjoy the zenful moments of the lake. Ijaa city is the biggest city in all of Oyar'u. It was once a thriving city with casinos, libraries, museums, opera houses, shops, business buildings, trading centers. But up until recently it was abandoned and left to overgrowth. The mandalorian empire came in and started slowly taking the city back. It is home to Aeroportus, the biggest Spaceport on the planet, which the mandalorians use frequently. The mandalorians have set up a trading outpost, a mandalorian museum, a single casino, with as well various other clans setting up their own businesses. It is also home to the Mandalorian Plaza that the Mandalorian Empire made. Mandalorian Plaza was one spot that was cleared up, lawn was cut, new cobblestone, it was well kept up. A statue of Yasha Cadera, Mand'alor the Infernal was built in the center of an elegant fountain. Many Mandalorians would come here to socialize. Yasha has led the mandalorian empire for some time now, and it was her that led the mandalorians to claim Oyar'u for themselves, leading to the statue being built. * Oyar'u is limited on it's population, very few inhabitants are actually on the planet, those that are, are made of tribal natives, wild animals and mandalorians. * Culture: The general culture of the planet is summed up to be mandalorian life style, as the other inhabitants are wild life and tribal people who live with no technology, fish and hunt for food, make clothes out of leaves and other materials they can trade for. Unless trading, the tribes keep to themselves. The tribal people are indeed a religious folk, they believe that a unseeable force known as gotu is their god and will save their people. The tribal people wear black paint markings on their face as status within the tribe, certain styles for hunters, officers, warriors, and the chief. * Government: The entire planet is under mandalorian control. "A collective of independently governed Clans, banding together under the banner of cultro-religious, diplomatic and economic Sole Ruler, Mand’alor, and the meritocratically elected Wue'gi Vod Council. While Clans are self-governed, the Mandalorian Empire includes nationalized Health Care, Veterans Affairs, Education, Military & Navy. The collective wealth garnered from industry, import/export, and military-based supply acquisition actions is divided equally, to all participating Clans." * The planet is controlled by the mandalorian clans of the Mandalorian Empire and a good majority of the clans are wealthy and are always contributing to the planets welfare. * Stability: The planets stability can be said to be pretty peaceful as it's only inhabitants are tribal people and Mandalorians, and the two have a peaceful pact agreement. * Freedom & Oppression: Outside of the tribal people the citizens of Oyar'u are free to as they please as long as they obey mandalorian government laws. * Technology: minus the tribal people, the planet is basically on par with the rest of the galaxy from the Mandalorian Empire bringing in technology from all across the galaxy. Oyar'u once a planet of a mass population, a thriving world. A great logging and fishing world. It had plenty to do, gambling, art and history museums, Parks, lakes, hiking, was a very peaceful place to be. Many citizens even enjoyed hunting the wild life even though the wild life was extremely dangerous and some are even predators. The planet would continue it's life of peace for thousands of years, all up until it came. 400 years of darkness, the Gulag plague. It swept over Oyar'u like a venom. It infected millions, killing them slowly. Eventually the body count begin to rise, people abandoned cities, homes, villages, all to find hope for a cure, unfortunately this caused the plague to spread rapidly infecting even more people. Billions were dying at this point. The 400 year darkness was seeming to literally killing all life on the planet. Around the time the plague finally disappeared and went calm, the planets civilization had fallen to below 100,000 people planet wide. The left over citizens of Oyar'u who either survived or were not infected tried moving on with their lives, but found it difficult to adapt and restore their lives to the way it was once, they were reduced to scattered squabbling tribes through out the planet, no technology, just living off the land. The tribes even created their own tribal language. Eventually the mandalorians discovered the planet to be almost vacant and decided to claim it and becoming friendly with the various tribes. The mandalorian empire had made this planet a home, and various mandalorian clans begin building outposts, or bases, or compounds for their clan, as well as helped the process of retaking Ijaa city back from mother nature and using it as their own mandalorian city. The mandalorians even brought over several male and female Ysalamir, and paired males and females together and placed them all over the planet. Now there are pockets of space near the more populated areas that have begun to see less and less Force Usage as the number of Ysalamir continues to grow. The peaceful pact was conducted after the tribal people found the mandalorians hard at work using gardening tools and beskads to from Ijaa City. Although it was difficult to communicate with the tribes due to their unknown language, a peace was made. At one point a friendship was made between the two after a rancor attacked a tribal village and the mandalorians came in and killed the rancor saving the tribe. Now mandalorian scout are always patrolling the planet watching for threats to them and the tribal people. To this day the mandalorian empire controls the planet and has placed the planet under mandalorian government control minus the tribes as they have an agreement that they wouldn't be a problem to the mandalorians, but they have their own laws to abide by. Edited by Srina Talon, 07 November 2018 - 12:43 AM. Greetings! I'll be reviewing your planet with you. To start off with I see a lot of interesting details here that are rather lovely. But, there are a few things we will need to go over. 1.) Within the "Image Credit" spoiler please tag Nessa as Scherezade deWinter. Not everyone will know whom you are referring to when utilizing a real-world name/nickname. One of the first concerns I have would be the sourcing for your images. We have to make sure that we do our due diligence for each one to ensure that we are providing the proper credit to the original creators/owners of the pieces that you've chosen. This means that we cannot link back to places such as Pinterest, Imgur, "Wallpaper Caves", and other sites where images can simply be uploaded by anyone. If you run into trouble finding correct sources after you have exhausted all options please ask for assistance, however, we should see you making every effort to have images sourced correctly. You can use: TinyEye, Google Image Search, or my personal favorite: SauceNAO. * Title Header - This links to a "Wallpaper Cave" where anyone can upload the images. This doesn't show who owns it. I can't tell what the original image was to try and search for it. There are also TWO header images here. What about the second one? Or was it all hand done? * Cadera Compound - Good. * Prudii Kyr'am Compound - Good. * Skirae temple - Good. * Tribal Villages - Good. Source of a source. 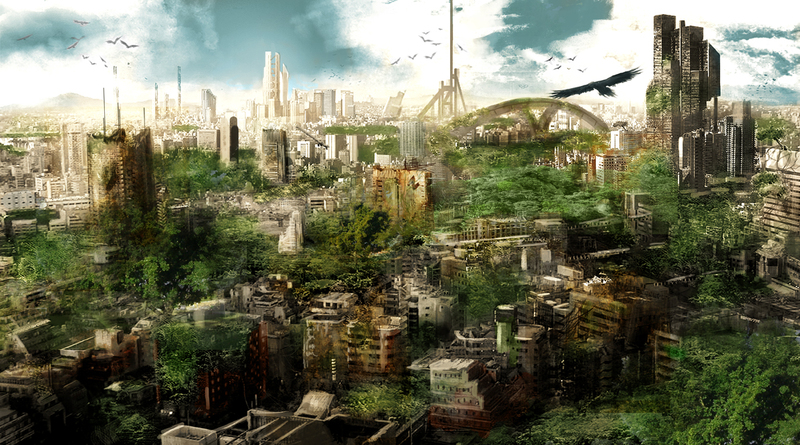 * Pulchra City - Should be sourced to this Deviant Artist. Not to a wallpaper upload site. * Aeroportus - This should be linked to the actual Destiny Concept Artist Darren Bacon. * Solus Clan Compound - This should be linked so that the artists name can be seen and credited. Not just linked to the image itself. Ned Rogers. * The Willows - Good. * Willows Forest I - Willows Forest I & II credits are actually reversed with the layout of the images above. For the first Willow Forest Image listed, it links to a "Wallpaper Cave" where anything can be submitted by anyone. It should actually be linked to this Deviant Artist. TheForeignConstantin. * Willows Forest II - "Raoul Pop" - Good, but, make sure that the correct source is lined up w/the right image. * Meridian Lake - Good. * Ijaa City I - Good. * Ijaa City II - Good. * MandalorIan Plaza - I cannot seem to find the original/unedited image for this fountain on the website attached to it but the linked source is a collection of photos that anyone can upload pictures to. For example, there are 16 different contributors. Great names! Is there anything else you can tell us about the star system? I would love to know more. What kind of sun does the system boast? Is there anything strange, unique, or interesting that might be worthy of note? Are one of the moons bigger than the other? Closer to Oyar'u than the other? Are the moons populated at all or used for anything? Niv Lehi - There are several groups that seem to have taken up residence in this location, such as, First Order Clone Army Veterans, The Anubian Infernal Guard, and the Darasuum Initiative. I assumed that the Anubian Infernal Guard are the Militibus Ex Inferis but I wasn't sure about the Darasuum Initiative. Is that the Dasu'r Kyr'am? If there are any links available for the FO Clone Vets please be sure to tag that in. The Willows - Easily my favorite location. Nothing wrong with it I just wanted to point out that I liked it! The intrigue is strong. There's a heap ton of variety here. Nice! Just be sure to link the Epicanthix, Gurlanin, Anubian, and the Kaminoan's to their respective information. Either the Wookie or the Chaos submission. Just like you did for the others is fine. You have a good start here but I'm hoping for a little more information. Most are familiar with Mandalorians but the tribe people that you've mentioned are sparkling and new. Can you elaborate a little more here about the native people? Do they practice religion? Is there anything else that stands out about them other than being mostly hunter-gatherers? It's a little strange that the wealth of this planet is "High" when most of it is still in a state of disrepair. The Mandalorian Empire might be bringing in traffic, imports, and exports, but those things may not immediately balance out the detriment of trying to restore a world that was more or less gutted by the 400 Years of Darkness. It reads very much so like a work in progress. I would suggest perhaps "Medium"? Overall, this is pretty good! I like the detail in the background about how the Plague affected the planet and wiped out the majority of the population. It would be nice to see a little more of the recent history. How did the pact between the Mandalorians and the Tribal People get established? How difficult is/was it to beat back the forest and re-take the cities? Was it difficult to secure casinos and a starport with Rancors somewhere on the lose? The mandalorians even brought over several male and female Ysalamir, and paired males and females together and placed them all over the planet. The number of Ysalamir now has quad tripled in numbers causing a major lack in the force being used. The part quoted above about the Ysalamir needs a little bit more cleaning up though. A planet is massive. Even if "several" pairs of these creatures were brought to this world it would take a fair amount of time for them to reproduce in such a way that it would meaningfully reduce Force usage. You could go a few ways with this, but, I think it might make sense to say something like: "There are pockets of space near the more populated areas that have begun to see less and less Force Usage as the number of Ysalamir continues to grow." This is easily supported by the way the wiki describes them grouping together. It doesn't have to be exactly worded like that. Just an idea of what I was referring to. Mostly, aside from sourcing issues, I'd just like to see a little more of what you envision for this location. It's a nice sub with a touch of life to it - But it would be wonderful to see more. The more you give, the more players can interact at this location, and have a good feel for their surroundings. Feel free to tag me here if you have any questions or need any help. Edited by Srina Talon, 30 October 2018 - 03:54 AM. A'den Kyr'am Thank you - I will look it over as soon as I get to a desktop. A'den Kyr'am Thank you for the speedy work and your patience! I liked the little details about the tribe people that you put in. Giving them religion and a little more depth was exactly what I was looking for. 1.) Thank you for removing Scherezade's IRL name/nickname. Just a reminder per the Codex Staff - We shouldn't ever reference real names/nicknames in submissions. Just our character names or the appropriate tags. These are much better! Just a couple small notes. * Title Header - The one image is good now, but, the one that you made from scratch you should source to yourself. You can just label them "Title Header 1" and "Title Header 2" for ease. *Mandalorian Plaza - This is the last one that we needed to check a source for, but, I couldn't find it because the image has been so heavily edited. If you can't find it you can post it here and I can try too. Niv Lehi - Thank you for adding the link for the Darasuum! Can you ask if there is any sub/link for the "First Order Clone Army Veterans" that are there are well? Or is that just a general term not an actual NPC group? And somehow there are two Ysalamir links now. I think one should be or was Epicanthix. Edited by Srina Talon, 04 November 2018 - 12:54 AM. On the last Image Source link, the Mandalorian Plaza, you were very close with the source we just needed the actual person it came from. That would be: Sienna Huntington. Thank you for your patience and I hope this helps. Edited by Srina Talon, 04 November 2018 - 01:05 AM. 1.) All Image Sources look good. Thank you!! We never actually had this question answered. Are the "First Order Clone Army Veterans" just a general term? Not an actual NPC group? If they are not and have no sub, etc, just let me know here. I'm just trying to make sure I'm not interpreting wrong. Thanks! Edited by Srina Talon, 06 November 2018 - 02:56 AM. Edited by A'den Kyr'am, 06 November 2018 - 05:58 PM.